Social Gaming Network (SGN) is known for making popular Facebook apps and games. 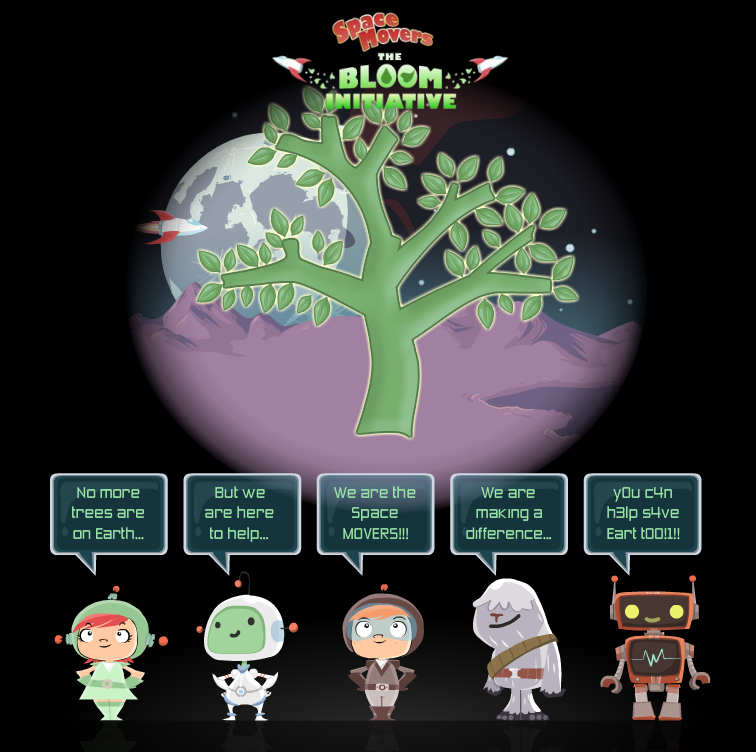 They just release a new green game called “Space Movers: The Bloom Initiative” focus on tree conversations. SGN has united with the Arbor Day Foundation to re-grow forests around the world. SGN will donate up to $50,000 of Space Movers game revenue — equivalent to planting 50,000 new trees — to the Arbor Day Foundation. With the help of donors and corporate sponsors like SGN, the Arbor Day Foundation works to support positive tree conservation and education projects. SGN will also provide the opportunity for users to donate money to the Arbor Day Foundation from within the game. Space Movers is the first social game production of its kind. The game was designed in-house at SGN, with an original soundtrack and advanced social gaming features and branded with the Arbor Day Foundation’s logo throughout the game. Space Movers will first be available on Facebook and soon players will be able to compete asynchronously with old friends and new opponents on additional social networks like MySpace and Bebo. With the release of this game, SGN has catapulted social gaming to the next level. Not only does Space Movers include adorable characters, a quick paced gaming experience, and a catchy beat — but game play is now a meaningful and world changing experience.